Six long-range bombers have flown all the way from Russia to the Syrian governorate of Deir ez-Zor to attack Islamic State (IS, formerly ISIS/ISIL) targets, the Russian Defense Ministry reported. A similar raid was conducted on Saturday. 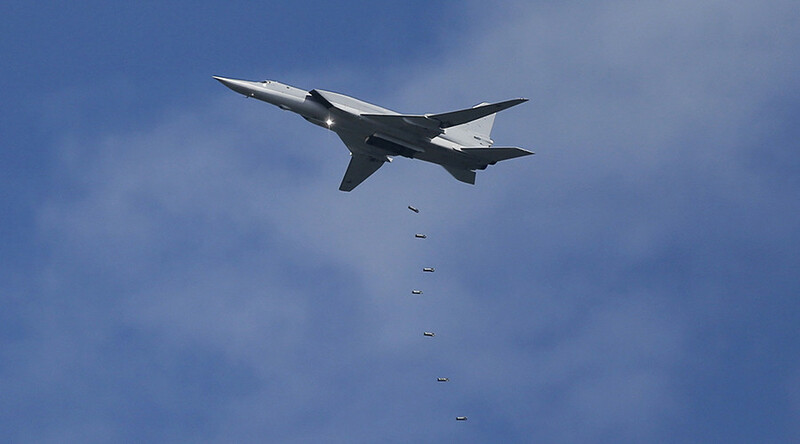 The Tupolev Tu-22M3 bombers flew through Iranian and Iraqi airspace on Monday and conducted airstrikes on the terrorist group’s command centers and weapons stockpiles, the ministry said in a statement. As in Saturday’s raids, fighter jets from Russia’s airbase in Khmeimim, Syria, were scrambled to protect the bombers in Syrian airspace as they carried out their mission, according to the statement. Fighting has intensified between IS fighters and government forces in the Deir ez-Zor governorate over the last week, as the Islamist jihadists are dispatching additional troops and weapons there to ready for a major offensive. While IS has managed to win some territory, the provincial capital remains under the control of Damascus.